Tyre review data from 25 tyre reviews averaging 68% over 308,070 miles driven. Positive - Good aquaplaning resistance, low price. Negative - Poor balance, long braking distances in both the wet and dry, poor grip and spongy handling. Positive - Excellent wet handling and aquaplaning results. Negative - Average wet braking, very poor dry braking, dry handling and subjective steering feel. While external noise was low, internal comfort was poor. Positive - Quiet, low price. Negative - Poor wet handling, long wet braking, spongy handling. 2016-09-22 - Nankang Noble Sport NS20 is it run flat? We do not believe Nankang make a runflat version of the NS20. 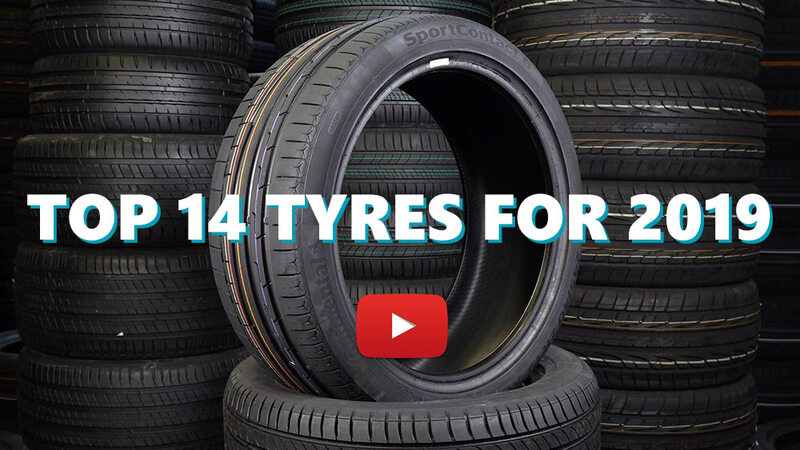 Available in 91 tyre sizes - View all. Have you driven on the Nankang Noble Sport NS20 tyre? Please help millions of other drivers make an informed tyre choice and pick the correct tyres for their car by submitting your review of the Noble Sport NS20. These were already fitted when I purchased the car from a dealership. Initially I thought get them off & fit approved tyres but kept putting it off until here I am almost 3 years later & looking to fit a new set because told the rears have maybe another 2000 miles. That would mean these have lasted about 11000 miles which is not too shabby for this car at all. How have they been? Tremendous. OK I am not a high miler but I do tend to drive with lead boots & the roads around here a twisty. Not in the best shape either. Do like to go for it when it is safe to do so. Have to say these tyres have never let me down. I have never felt the car getting away from me. It has always remain planted. Road noise? Are you kidding? The lovewly sound of that naturally aspirated V8 engine/exhaust drowns all that out thank god! I got rid of a van which was not really being used to it's potential in my business and went back to using an estate car as I did years previous. The tires fitted we're non other than these Nankang NS20,s and the lateral g you can generate is quite astounding for what is a cheap sports tire. I would buy again for sure..and will soon. I recommend highley, budget driven or not. 740i G11, staggered 245/40-20 front and 275/35-20 rear. Quiet, stable, and far more comfortable than the OE run-flat Bridgestone Potenza. Near equivalent dry grip as the OE Potenza, but the cornering isn’t as precise (these tires do stick), but little more corrections are necessary sometimes. The only complaint is at speed over 100mph, these tires become a little floaty and slightly louder compare to the OE Potenza. Overall, I'm very pleased with how well Nankang NS-20 tires handle the weight and speed of this vehicle. Haven't had a chance to drive on wet surface yet. Fine tires from Nankang, Republic of China. (Australia) I have these tyres on one end of an MGF and Falkens on the other, this was not my ideal, and I thought I'd be itching to replace the Nankangs. However they are as good as the Falkens in most respects with the only noticeable difference that they are a little less 'crisp' turning into a corner. I now have the Nankangs on the front and the Falkens on the back and am quite happy. Greasy off-camber bend on my way to work that has given me big moments in other cars on other tyres, the Nankangs grip to a very respectable speed, then understeer mildly and predictably in the wet. Would probably buy Falkens next time for that slightly better feel but these are an excellent tyre. My 2009 VW Passat Komfort came with Yokohama AVID Ascend 235 /45 R17 97V XL BSW cost $132 each they were very load, wore BADLY (after 20,000 miles) but handled well fair or foul weather. I finally replaced them with the Nankang Noble NS-20s for $71 each with lifetime road hazard protection and super fast free shipping ($284 Total) ONLINE from James Drank (800) 589-6789 Ext.51866 Discount Tires Direct. I had them mounted and I could not believe how quiet and how well they handled. THESE ARE FANTASTIC TIRES!!!!!! I am pleased.